“Keeping up to date with news from Welham Jones”. 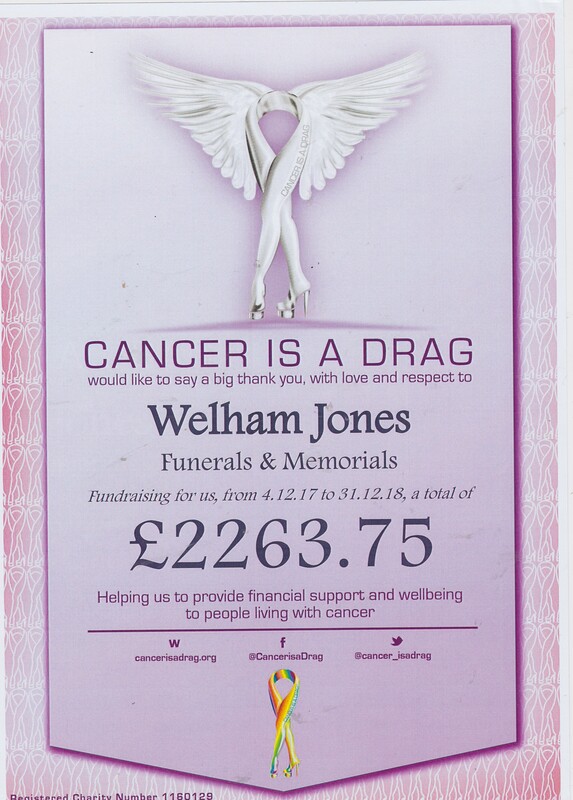 Received a lovely thank you from Cancer is a Drag charity today for all the hard work in fundraising we did for them last year. as part of our 25 for 25 Anniversary Campaign to support the community. A big congratulations goes to Martin Anning from our Chislehurst office who organised and arranged 2 charity events for this wonderful cause. We were honoured to be able to help and support your charity and hope do so again in the future.